LINGAYEN, Pangasinan – Gov. Amado I. Espino III will enter and sign in behalf of the province the Memorandum of Agreement (MOA) with the Department of Public Works and Highways (DPWH) and the Dept. of the Interior and Local Government (DILG) for the implementation of the Special Local Road Fund (SLRF) under R.A. 8794 or Motor Vehicle Users Charge (MVUC) Law. Made possible through Provincial Ordinance No. 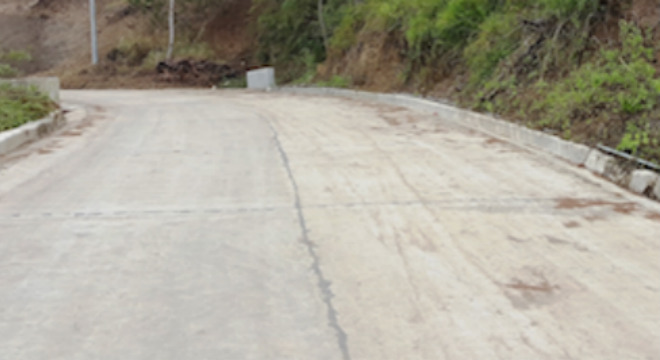 1138-2017 which was unanimously approved by the provincial board led by Vice Governor Jose Ferdinand Z. Calimlim, Jr. during the regular session on November 20, the MOA is necessary to cause the implementation of two provincial road projects specifically the rehabilitation/upgrading of Asingan-San Manuel-Agno Gorge located in the towns of Asingan and San Manuel and rehabilitation/improvement of Urbiztondo-Basista Road in Urbiztondo town. As such, the resolution added that under Section 7 of the Republic Act it denotes that all monies collected shall be earmarked solely and used exclusively for road maintenance and improvement of road drainage, for the installation of adequate and efficient traffic lights and road drainage, for the installation of adequate traffic lights and road safety devices, and for air pollution control, and that 5 percent of all the monies collected shall be deposited under the SLRF which shall be apportioned to provincial and city governments in accordance with the vehicle population and size of road network under their respective jurisdiction, and which fund shall be under DPWH in close coordination with the DILG for the transfer of funds to local government units. With regards to the two projects, the Provincial Engineering Office has projected the amount of the Asingan-San Manuel project to over P9.9 million and the Urbiztondo project at P8.7M. The approved resolution which is one of the required documents will then cause the immediate release of funds.